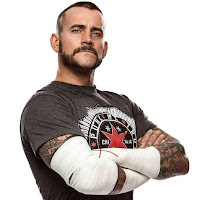 MMAFighting’s Ariel Helwani is reporting that CM punk was transported to a local hospital for a facial CT scan. It sounds like they are checking to see if he had any bones were broken, perhaps a broken nose or orbital bone. As noted, Jackson won via unanimous decision. The good news for Punk fans is that he looked better during his second fight than the first time when he fought Mickey Gall. The bad news is that it looked like Jackson could have ended the fight in the second round but was just toying with Punk. Joe Rogan joked that perhaps someone paid off Jackson to make sure the fight went 3 full rounds. CM Punk is being transported to a local hospital for a facial CT scan, per UFC.